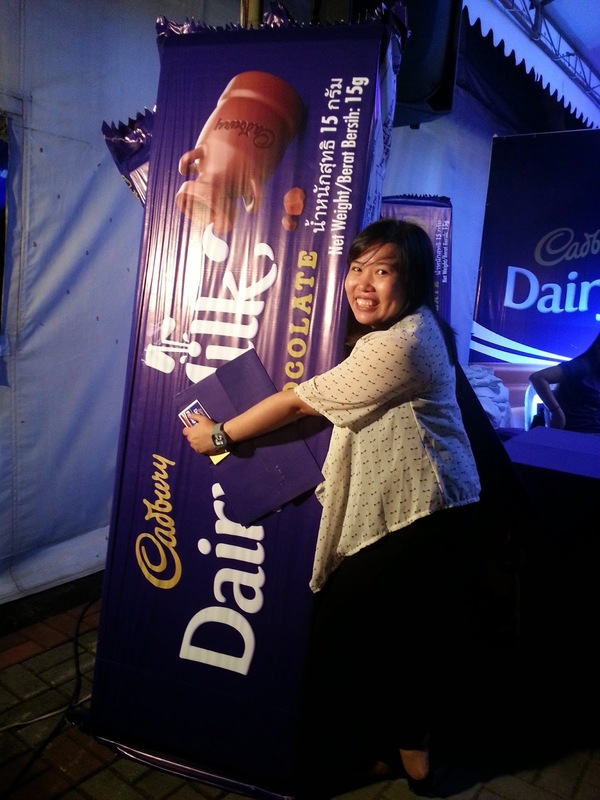 Hugging this giant Cadbury Dairy Milk chocolate made my friday night a sweet ending! 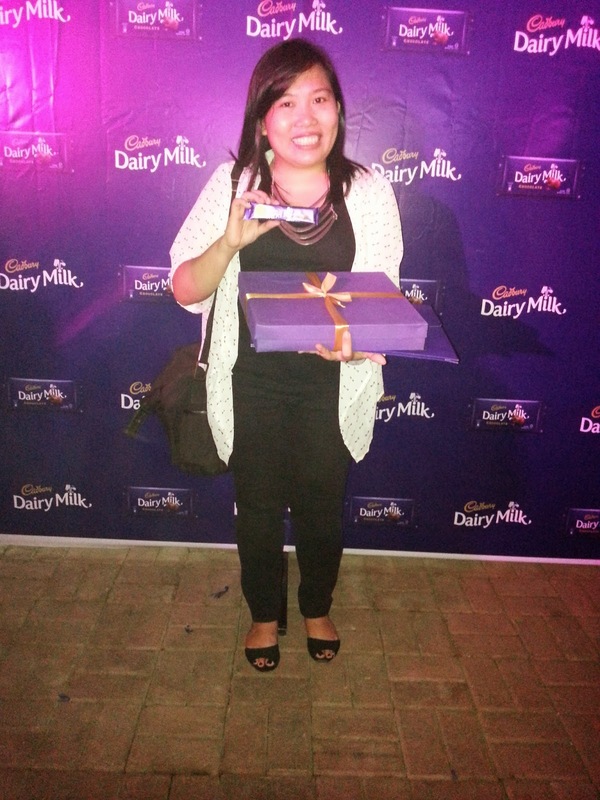 :) Got an invite to attend the sweet ending party from Cadbury held a Mercato Centrale. A lot of people came to celebrate the sweet ending of the week. Friday! To make the night even sweeter there was another smooth surprise! 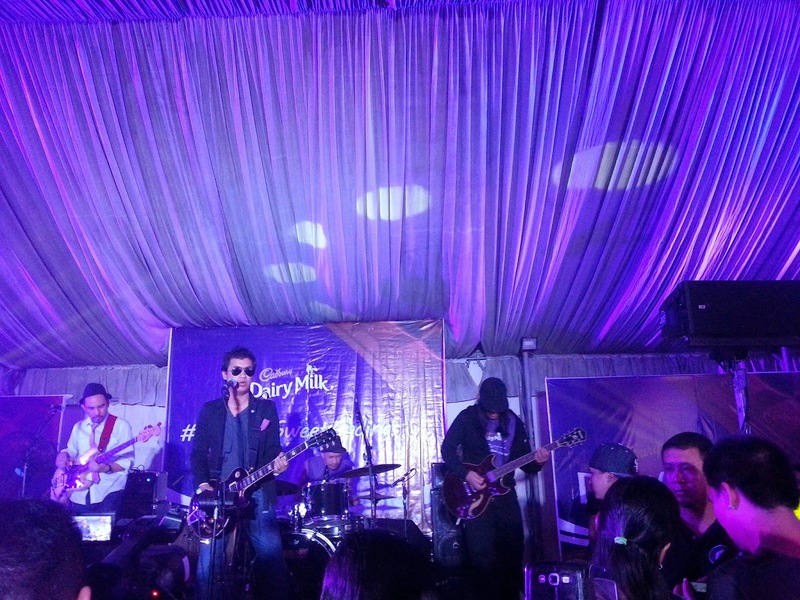 Rock band Pupil with front man and music icon Ely Buendia gave a rousing performance to everyone gathered. Cadbury Dairy Milk, the smooth and creamy chocolate that gives you sweet endings helps you eat chocolate the right way. Sweet endings for Cadbury Dairy Milk mean savoring the good things in life, including a bar of this smooth and creamy chocolate – in the right way! There are many things in life which give us sweet endings. It could be taking a moment from a busy day during lunch. Or kicking back at home on a Friday night after a grueling workweek. It could also be hanging out and laughing with your friends while on a night out – just to catch up and enjoy being in each other’s company. Everything else in life is rushed: Deadlines, meetings, schedules. Sweet endings are your breaks from all of these. A time for you to enjoy and savor. 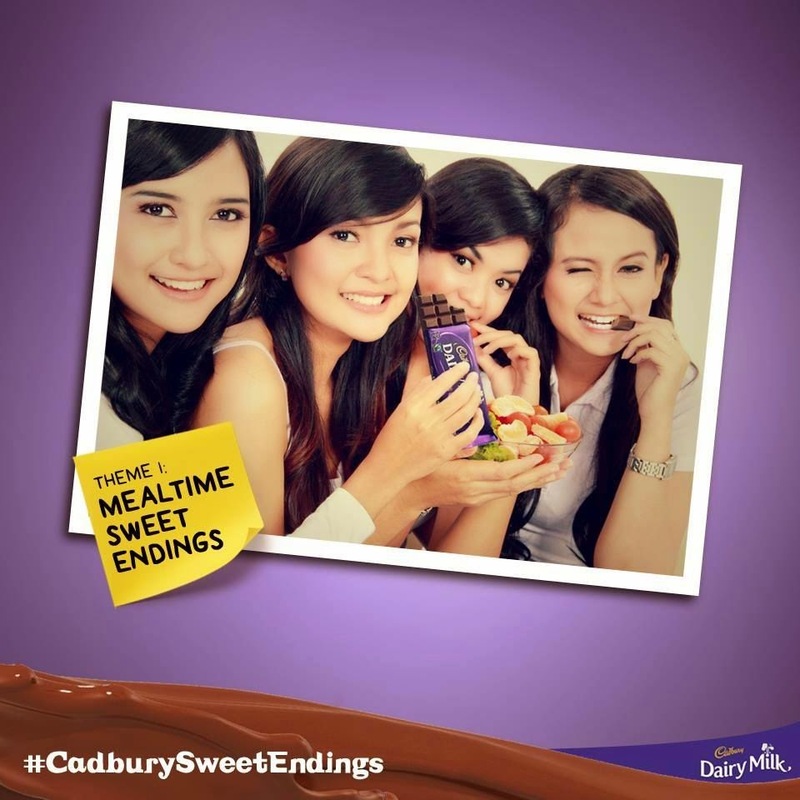 Cadbury Dairy Milk knows all about sweet endings. As a smooth and creamy chocolate bar, its taste alone is a sweet ending – something you savor and enjoy every moment of. The smooth and creamy taste is a perfect sweet ending to any meal, nightcap or gimik with friends. Enjoying a bar of a smoothly satisfying 15g pack is akin to living in the moment – taking the time to savor every bite. In fact, enjoying a Cadbury Dairy Milk bar is not something you rush into. You take your time for it. There’s a ritual that makes the experience much more enjoyable. 1. RIP the exquisite royal purple and gold packaging. See the perfectly shaped mounds of chocolate with a smooth satin shine. The look of delicious chocolate. Smell the aroma. Imagine what it would taste like –and you know it will be good too. 2. Then you BITE into it. Listen for that satisfying snap. 3. Here comes the most awaited part: You savor it and let it MMM-Melt. Don’t ruin the experience by chewing and swallowing immediately. Let it roll over your tongue. Delight as the smooth and creamy taste washes over your mouth. 4. Then you ENJOY by repeating the ritual: Bite and MMM-Melt, Bite and MMM-Melt. Until the world MMM-Melts around you and you remember that all good things in life must really be savored. When you do this, each chocolate moment becomes yours and yours alone – your #CadburySweetEndings.